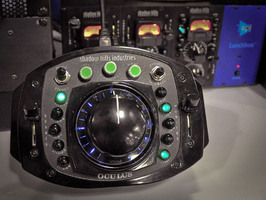 Oculus, Monitor Controller from Shadow Hills Industries. 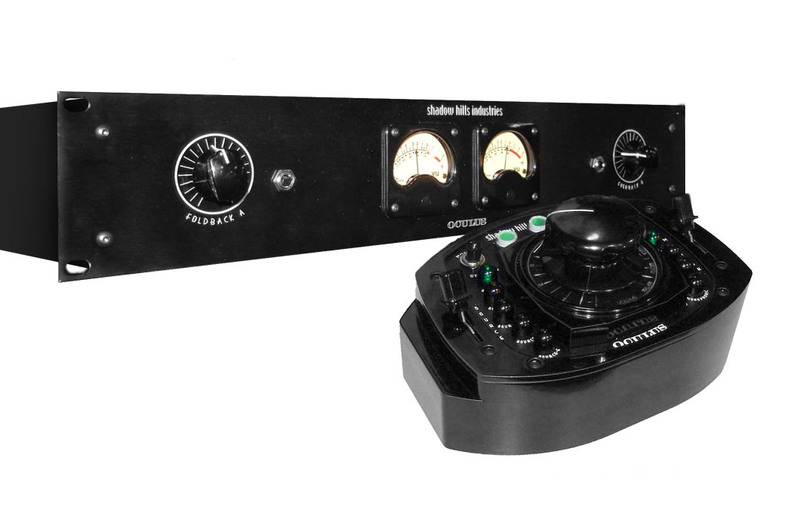 Shadow Hills introduces its Oculus Monitor Controller system, made of the "Pendant" controller and the Base Station. The Pendant also features the traditional Shadow Hills Industries Design and styling in an aluminum chassis and connects to the Base Station with a CAT5 cable. Features 2 VU Meters, 2 built in headphone amplifiers as well as the power supply for the Pendant. No release date details, but some retailers already announce a pricing around €1600 excl. taxes. sE Electronics X1 Studio Bundle & RF-X sE Electronics are celebrating the launch of the new RF-X Reflexion Filter with the coordinated introduction of the X1 Studio Bundle. Behringer Xenyx Q Series Mixers Available Behringer announces the availability of its Xenyx Q Series USB mixers. [AES] Sontronics STC-3X & STC-20 Packs Sontronics introduced its STC-3X & STC-20 mic packs at AES.